Bank of America Merrill Lynch research report suggests that the country’s demographic problems will actually be a catalyst for better changes. Russia will become a developed country with low inflation, a sizable middle class, and much slower economic growth rates in just seven years according to research from Bank of America Merrill Lynch. “By the year 2020, Russia will turn into a developed country thanks mainly to its demographic problems,” the research by Vladimir Osakovsky of Bank of America Merrill Lynch suggests. 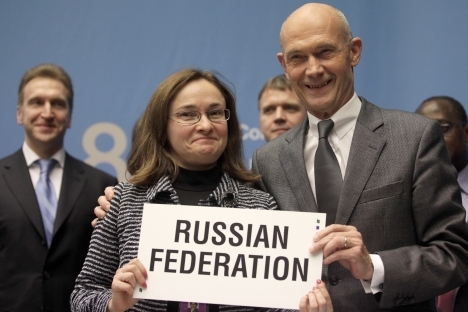 The Russian Ministry of Economic Development also supported this concept, Finmarket.ru reports. Economists believe that scarce human resources will force employers to compete for qualified workers. Hence higher salaries will boost internal consumption. Experts of the Organisation for Economic Co-operation and Development however have disagreed with such a notion. According to Ivan Tchakarov, chief economist at Renaissance Capital, the existing demographics data are not enough to draw this conclusion. “We do know that demographics are an issue for this country and we do know that the population is declining creating some of the conditions for Russia to become a more Western-like economy. But we also have to take into consideration such factors as the accumulation of capital and the productivity of the remaining labor force. So I think that looking out from now it’s difficult to say what we’ll become in ten years, it’s more a matter of speculation,” Tchakarov told RT Business. “I think from now on we certainly will not see 7 percent growth in Russia’s economy, it will stay somewhere between 3-4 percent per year,” concluded the expert.